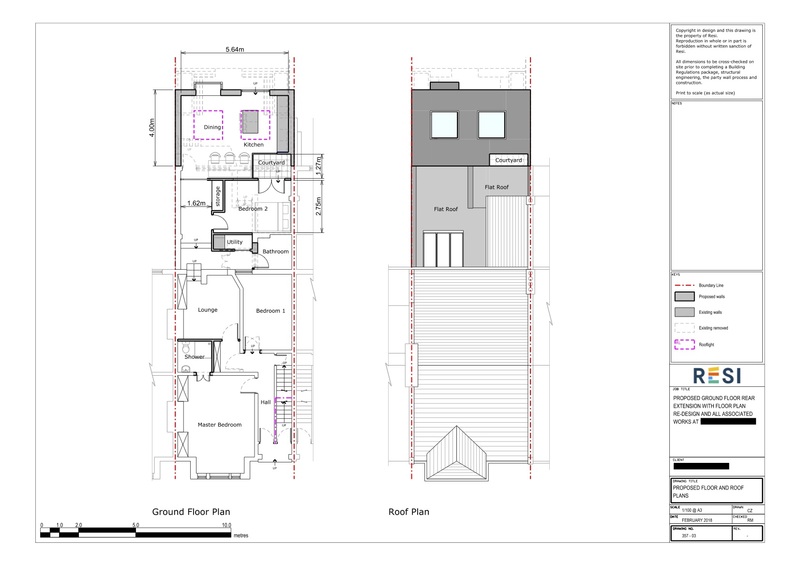 The design theme of this flat was quirky and unique, a style that's not what you'd expect when you walk through the door... this needed to be continued on into the new extension in order to create a natural flow. Because of Resi's extensive knowledge and experience in home improvement, we were able to create a design that did exactly that. My client stated that their preferred style was Scandinavian, but with a British eccentricity, so I had to bear this mind when designing their plans. They preferred liveable minimalism, things that function. 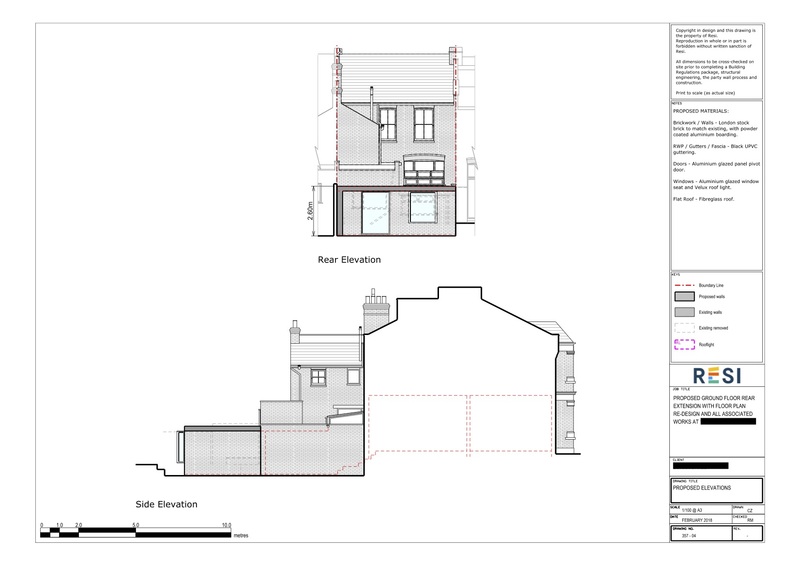 They wanted to extend 6 metres to the rear to create a larger kitchen and dining space for their family. They also expressed the need for somewhere unexposed for their washer and dryer to be stored. 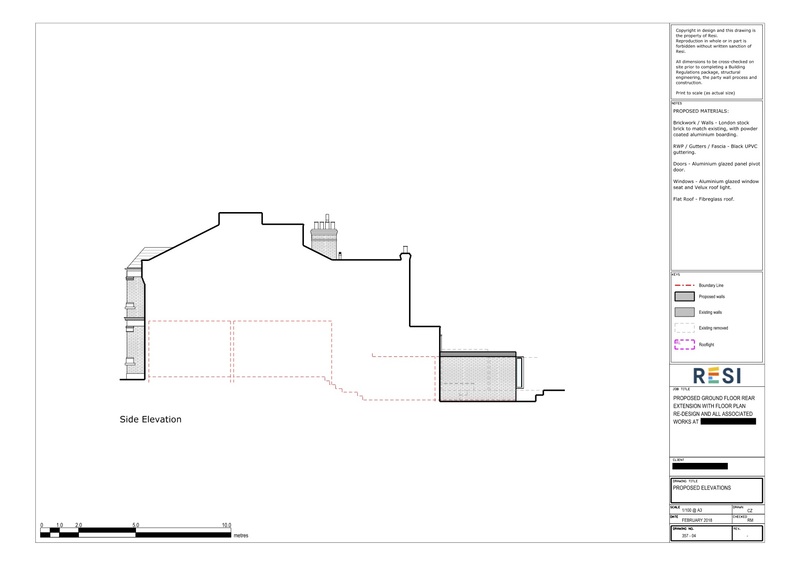 I created a plan that aligned with their preferred internal style, whilst being practical and easy to understand. At the rear of the house, a spacious kitchen and dining area was designed, with a glass window box - a feature that was very in keeping with this family’s style. To allow the maximum amount of light into the property, I added two large skylights to the kitchen, and double doors that opened up onto an internal courtyard in the new third bedroom.